A mighty spiritual giant, who was broken by nothing and by no one, whose image does not fade with the ages, Venerable Maximus the Confessor is a faithful indicator, even till now, of how one may follow after Christ by that path by which Saint Maximus so faithfully followed the Lord. Saint Maximus was born at the end of the sixth century in Constantinople of noble parents and received an excellent philosophical and theological education. Under the Emperor Heraclius (610≠641), he was among the imperial counsellors. Seeing the spread of the heresy of the Monothelites, with which even the Emperor himself was infected, (the Monothelites rejected a human will in Jesus Christ, whereby they diminished the significance of His sufferings on the Cross; the Monothelites incorrectly thought that the human nature of Jesus Christ was swallowed up and annihilated by His Divine nature), he left the imperial palace and joined the monks in the Chrysopolis Monastery. Subsequently, Venerable Maximus became the superior of this monastery. A profound theologian of his time and a strict defender of Orthodoxy, Maximus very ably and successfully demonstrated the incorrectness of the Monothelite heresy, for which he was subjected to persecutions many times by the enemies of the Church. Venerable Maximus’ arguments in behalf of Orthodoxy were so powerful that after a public debate on the faith with Pyrrhus, the Monothelite Patriarch of Constantinople, the latter renounced the heresy in 645. Venerable Maximus was sent into exile several times and each time would again be called back to Constantinople. The heretics often passed from admonitions and promises to threats, abuse and the beating of Venerable Maximus. On one occasion, Saint Maximus was called back to Constantinople, where the imperial grandees, Troilus and Sergius, again subjected him to interrogation. They began to accuse Saint Maximus of pride for esteeming himself as the only Orthodox who is being saved and for considering all others to be heretics who are perishing. Then Troilus and Sergius began to point out to Saint Maximus that already the whole Christian world recognized the Monothelite Patriarch of Constantinople as legitimate, that all the Eastern Patriarchs and their locum tenentes were in communion with him, and that the plenipotentiary representatives of the Roman Pope will serve with the Patriarch and commune with him. Thus, he is the only one remaining in the whole world who does not recognize the Patriarch. Venerable Maximus remained unshaken in his religious convictions. Finally, they cut off his right hand and tongue, so that he could not proclaim or defend the truth either by word or by pen. 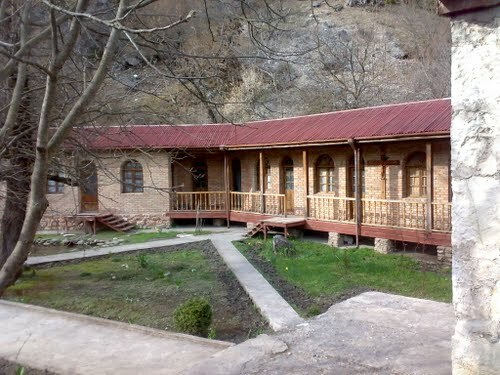 Then they dispatched him to confinement in Lazov (a region of Mingrelia) in the Caucasus. Here, Venerable Maximus died on the 13th of August 662, knowing in advance of his end. Venerable Maximus wrote many theological works in defense of Orthodoxy. Especially valuable are his instructions on the spiritual and contemplative life, some of which were included in the “Philocalia” (a collection of patristic instructions on prayer and the ascetic life). In these ascetical instructions, the spiritual profundity and perceptiveness of Saint Maximus’ thought is revealed. Also, an explanation of the Liturgy that has a great theological significance has come down to us from him. The example of Venerable Maximus’ courageous stand shows how an Orthodox Christian must behave in the face of apostasy ≠ general deviation from Christ’s Truth. According to an old Georgian tradition, it is said that the tomb of St. Maximus the Confessor has been preserved until today under the altar of a small church in Tsageri, Georgia. 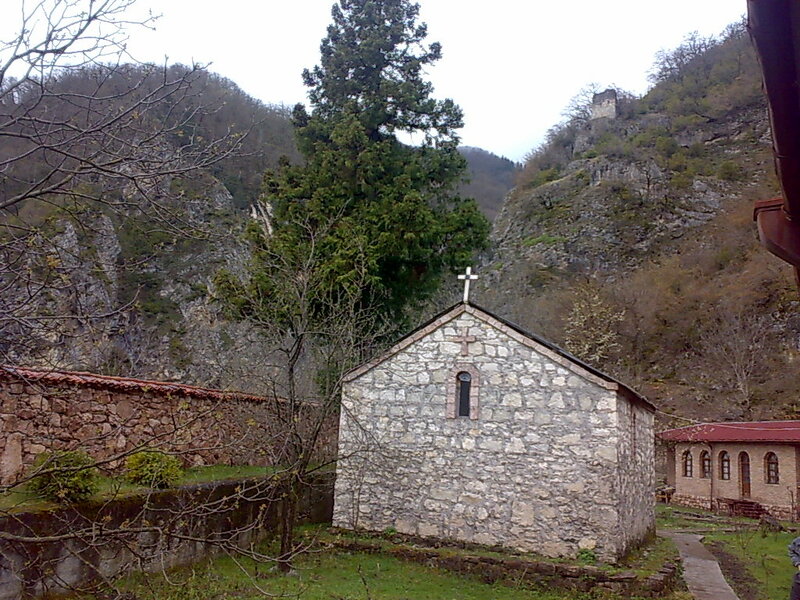 The monastery of St. Maximus was built on the site of the ancient place of worship dedicated to St. Arsenius. During the communist regime the tomb of St. Maximus was abandoned and the monastery destroyed. However, the saint’s memory remained vivid in Georgia. This has motivated the local Bishop, Stephen (Kalaijshvili) to initiate a series of archaeological research in this ancient church. 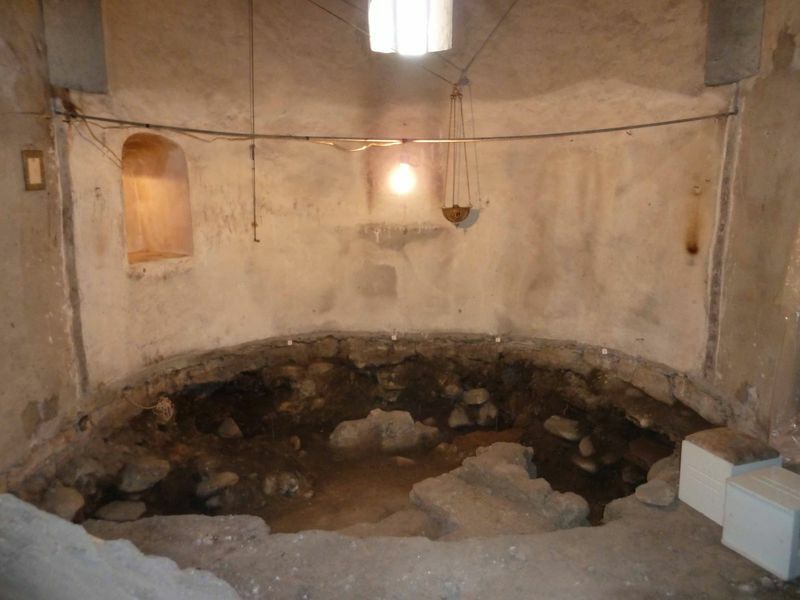 The excavations have revealed at a first and lower level the human remains of four men. One of the skeletons has attracted special attention because it misses the right hand and the skull seemed to be mutilated; this could’ve occurred after tongue pulling – a practice quite common in Byzantium. Furthermore, the anthropologists have determined that the skeleton belongs to a man who died at the age of 83. The anthropological research conducted in Georgia, France, Russia, and Greece strengthen the hypothesis that the relics discovered at the upper level can belong to St. Maximus the Confessor and his disciples (monks Anastasius and Anastasius Apocrisiarh) and those discovered at lower level of Saint Arsenius (the founder of the monastery). The translation of St. Maximus’ relics to Constantinople found in liturgical sources (Synaxarium for august), is not mentioned by angiographic sources; the date of August 13th remains with certainty as the day of Saint Maximus’ repose. Thus this recent discoveries do not contradict but rather complete the picture we have today on the last days of St. Maximus the Confessor. The only piece of relic known to date, consists in the saint’ right hand cut during his second trial (622) and later recovered by his disciples. 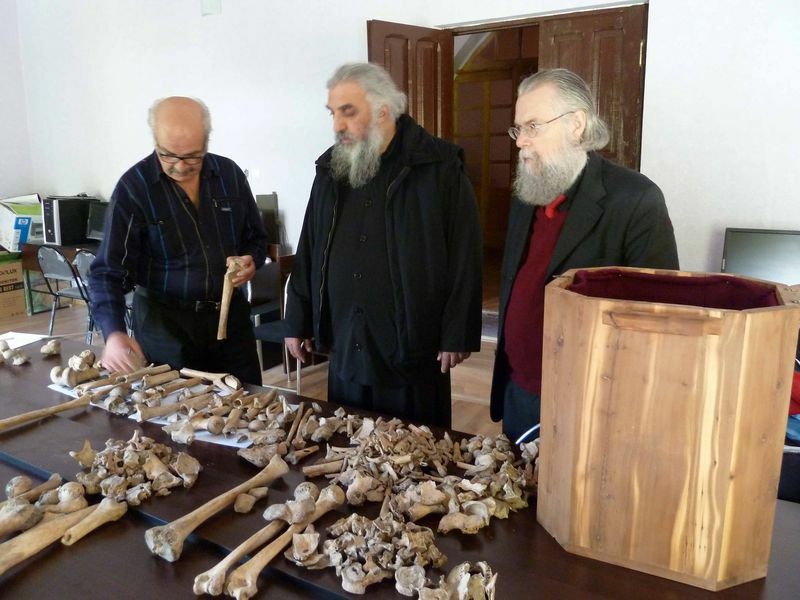 St Maximus hand has been preserved for centuries in the Monastery to St. Paul from Mount Athos. With the blessing of the local bishop, the Monastery of Saint Maximus the Confessor from Tsageri, is currently under restoration. When the Great Prince was planning to dissolve his marriage to his wife Solomonea on the grounds that she was barren, the courageous Confessor Maximus wrote to the prince, “Instructive chapters to the right-believing authorities,” in which he convincingly demonstrated that the Great Prince’s position dictated that he not succumb to animal passions. St. Maximus was cast into prison. At that point, a new period in the Venerable One’s life, a time of great suffering, began. Inaccuracies were discovered in St. Maximus’ translations, and he was blamed for intentionally corrupting the texts.